PROJECT: Soft Cell Note: A biopsy from a failing body, spilling with cells and connective tissues. Each cell contains a plastic squeaker, holding the potential to playfully alarm, or inappropriately express pain. Inspired by a 2014 bone marrow biopsy. 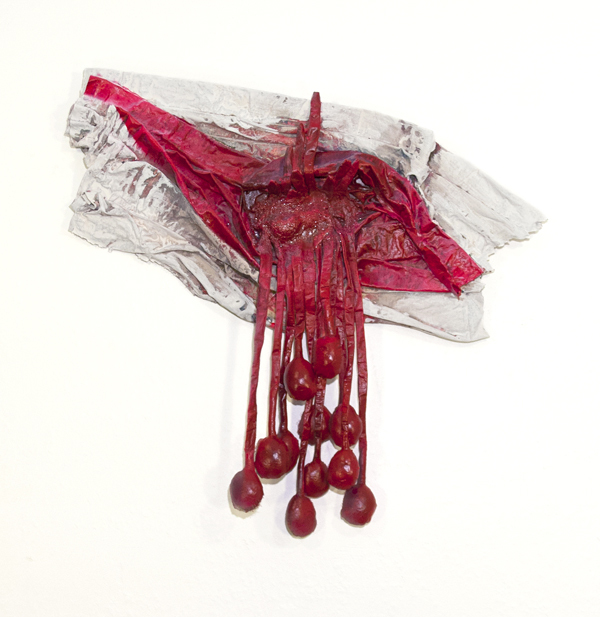 Materials: Acrylic, spray paint, flesh, fabric, fiber, squeakers, wood. Scale: 27" x 28" x 3".